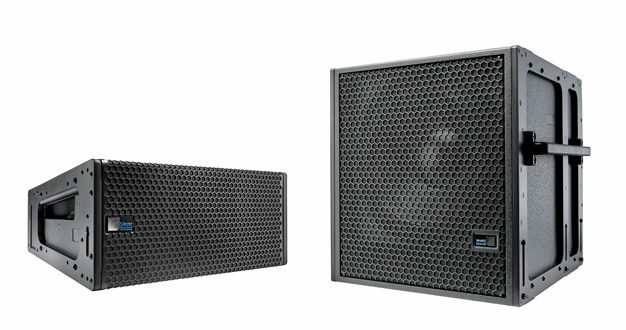 Meyer Sound has expanded its LEO Family of linear sound reinforcement systems with the addition of the new LINA compact line array loudspeaker, along with a companion 750-LFC compact low frequency control element. 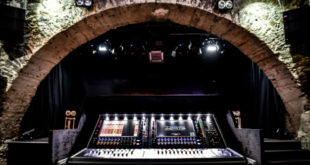 The smallest and lightest in the series, LINA and 750-LFC are designed to being linearity, low distortion and ‘exceptional’ power-to-size ratio to a wider range of applications and venues. The self-powered LINA loudspeaker measures only 20.27in (515 mm) wide and weighs in at 43 lbs (19.5 kg). 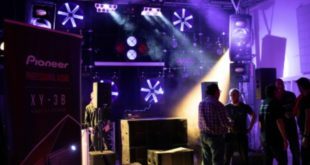 Because LINA shares the same structural footprint as Meyer Sound’s current MINA line array loudspeakers, owners of MINA systems can add LINA to their existing inventory using the same rigging and mounting hardware. 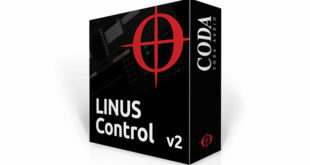 Mixed systems of MINA and LINA are compatible using the delay integration in Compass control software. LINA has been outfitted with new drivers and an updated amplifier and signal processing package. Compared to MINA, the newly designed class D amplifier affords greater efficiency, and an upgraded power supply enables higher peak output. The 3in HF compression driver incorporates a new magnet structure first used in the LEOPARD line array loudspeaker (LINA’s next-larger sibling) for reduced distortion. Low-frequency distortion from the dual 6.5in woofers is further reduced compared to MINA, aided by new internal venting and baffling to optimise performance. On-board signal processing has been upgraded for more power, while it also utilises Native Mode, as first introduced in LEOPARD. In most applications, LINA loudspeakers will be integrated with the companion 750-LFC low-frequency control element for extending deep bass performance across its operating frequency range of 36Hz to 125Hz. The 750-LFC houses a 15in, dual voice coil long excursion driver along with a two channel, open loop class D amplifier and signal processing to provide separate, precisely synchronised power to each voice coil. An integral pole mount receptacle pairs with LINA or ULTRASeries loudspeakers, while an optional rigging frame allows flying in LINA arrays without a transition grid. Configured as single cabinets or short stacks, LINA loudspeakers are ideally suited for use as front fills and under-balcony fills, or as part of a complete line array system in small theatres, theme parks, houses of worship and portable AV systems. LINA compact linear line array loudspeakers and 750-LFC low-frequency control elements are expected to ship 1 June, 2017.